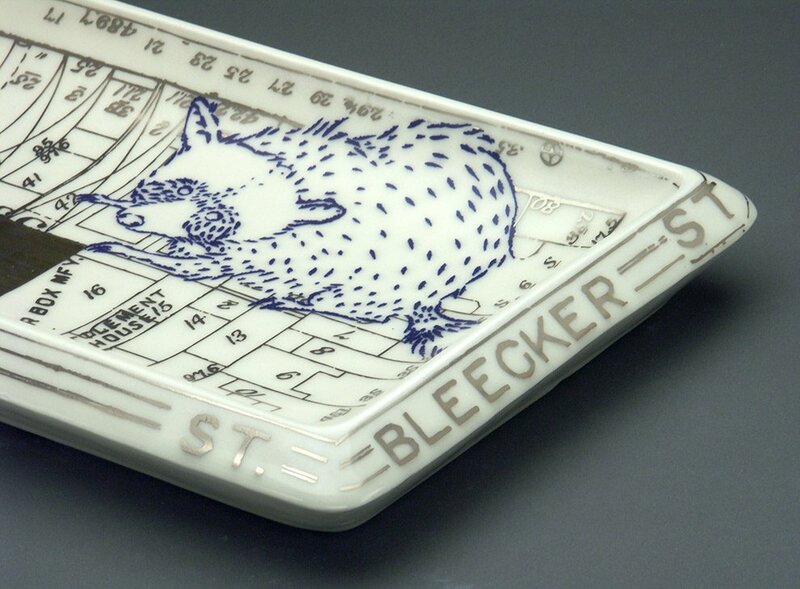 Who Lives in Greenwich Village? Almost a year in the making, this collaboration with Andy Brayman of the Matter Factory show consisted of two separate bodies of work, both involving data from the Mannahatta Project. Special thanks for Dr. Eric Sanderson and Kim Fisher for making this possible. 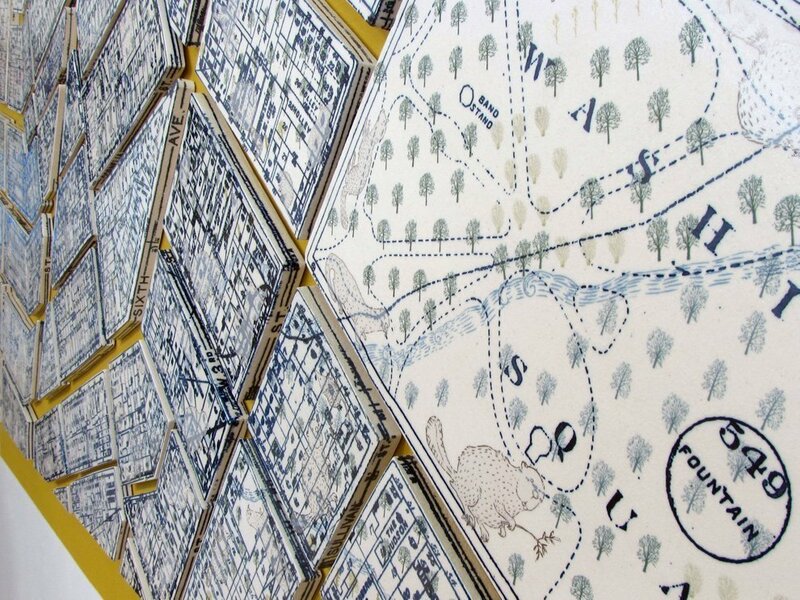 The 86 piece tile installation is made of 3/4″ thick porcelain, each tile representing a city block and Washington Square Park, and encompassing 165 acres of Greenwich Village. Tiles are printed in cobalt with overgalze decals, opalescent white glaze, and silver luster. In honor of 100 years of Greenwich House Pottery, a 1909 street map dominates the piece visually and gives insight into how the neighborhood has changed. Layered over this are twelve different ecosystems from 1609 and twenty-six animals from the same time period 400 years ago. Our aim is to tap into local resident’s sense of pride, ownership, and curiosity, as well as to raise ecological awareness about the interconnectedness of all species. 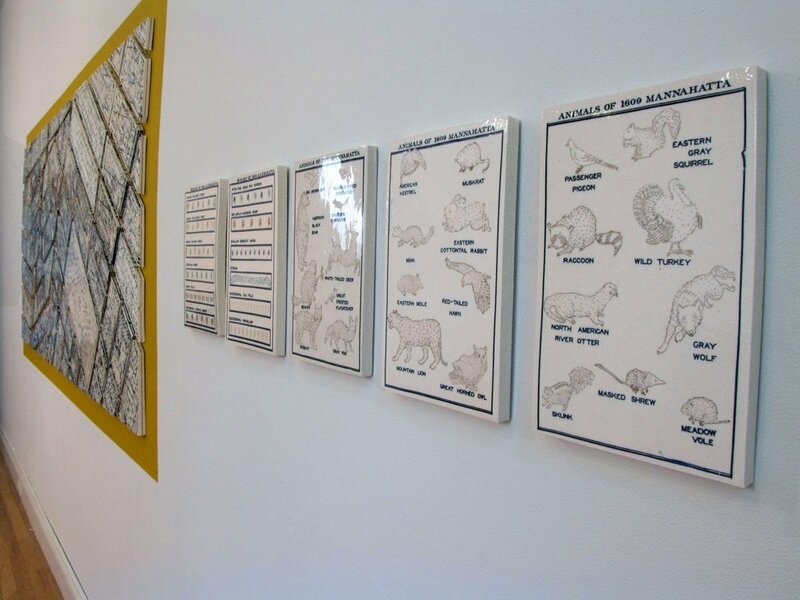 Thirteen platters made up the second body of work in the show. 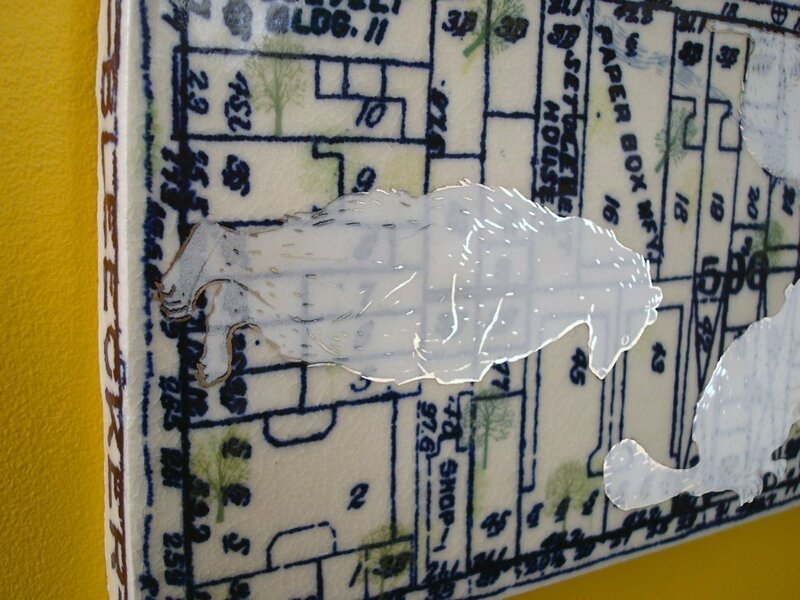 Each is in the shape of the Greenwich House Pottery block, with a 1909 map of the block in silver luster, a gold luster block of the footprint of Greenwich House Pottery, and a cobalt blue animal once found in the area 400 years ago. 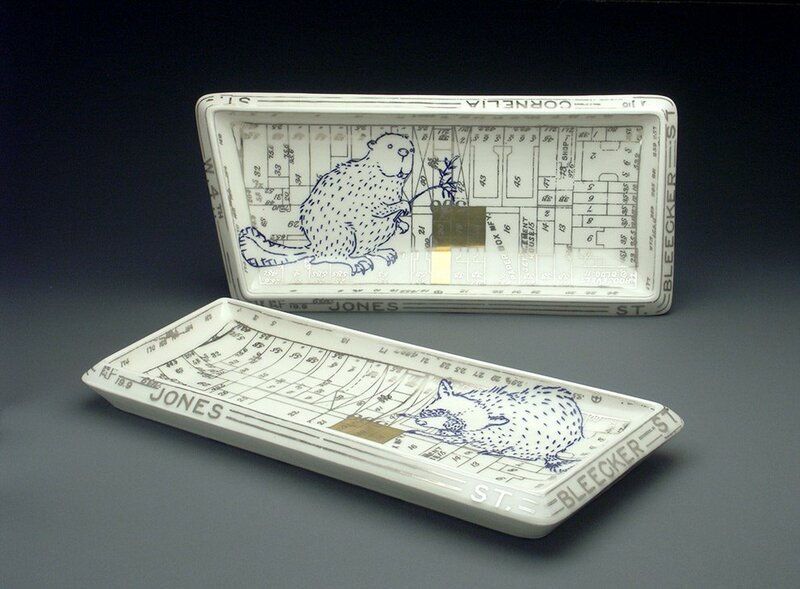 Platters are cast porcelain and measure 2″ x 19.5″ x 9.5″. The tile installation now hangs in the main office of Greenwich House Pottery, open to the public.